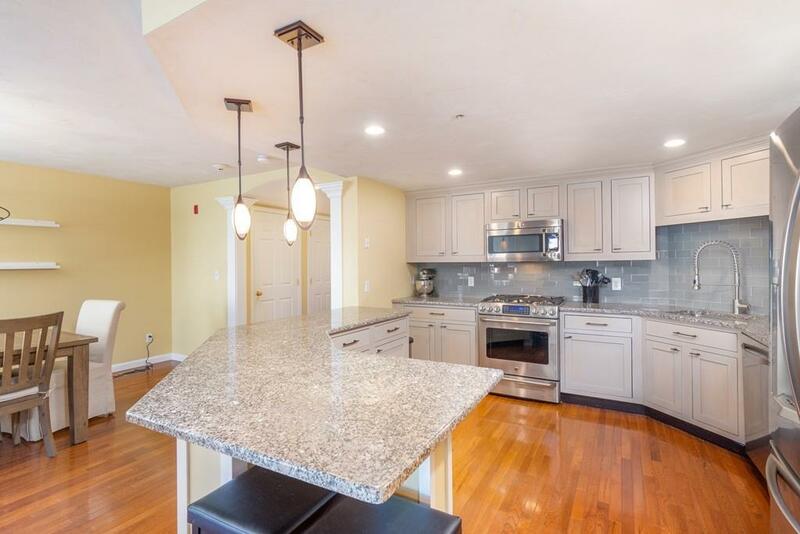 Get ready for easy living at The Gables in this beautifully updated townhome. Step right from the heated garage into your sun filled foyer. 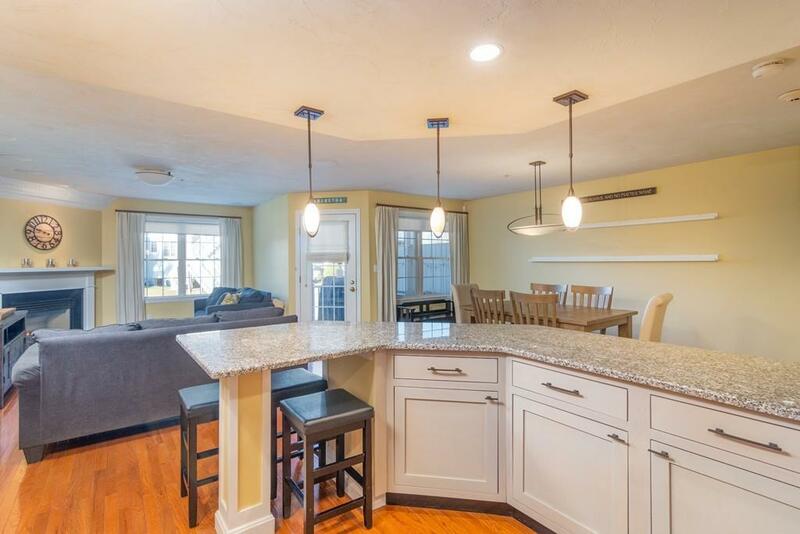 Detailed woodwork sophisticate the entry into this open concept floor plan. 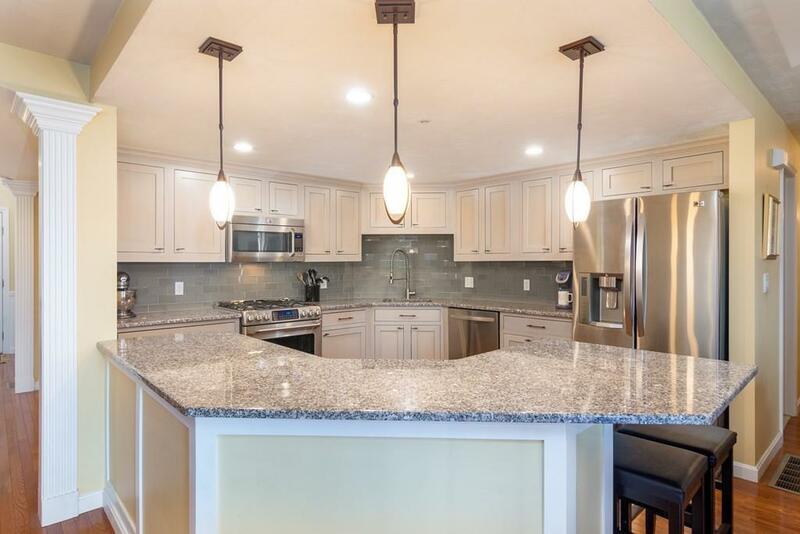 Kitchen features granite counters and island, stylish pendant lights, plenty of cabinetry and looks onto the living/dining area with hardwood floors. Relax by the fireplace in winter or step out onto the deck in the spring. First floor Master bedroom, large enough for your king size bed, features a private balcony, walk-in closet and master bath with tiled walk-in shower and modern vanity. One level living area plus the added benefit of a full ready to finish basement with additional room for storage and potential added living space. Association amenities include basketball/ tennis courts, putting green, clubhouse with exercise room, and abuts Ames Nowell State Park. 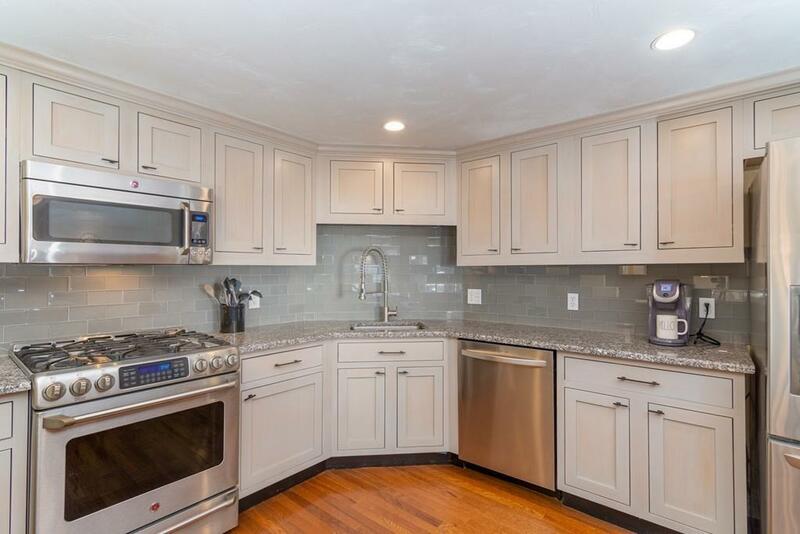 Commuter rail, shopping and restaurants nearby. Listing courtesy of Bethell Real Estate of Arrive Home Realty Corp.. Listing provided courtesy of Bethell Real Estate of Arrive Home Realty Corp..